At dead end, Turn RIGHT into Collin Park Maina. Continue along main road until you see the marina. Turn right and left into the marina parking lot. 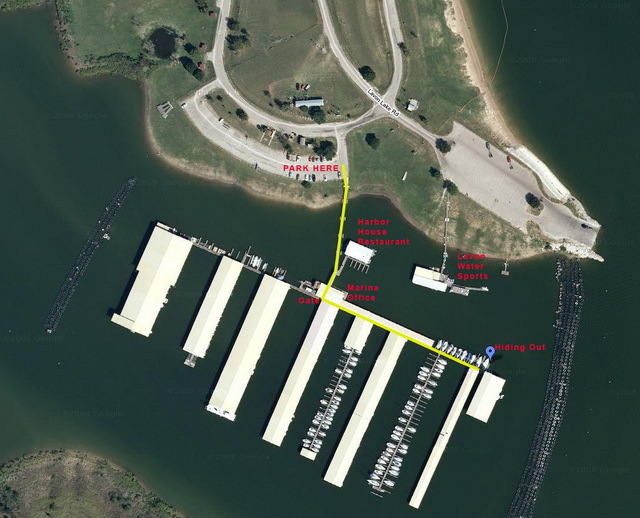 The Blue Marker is the where Hiding Out is located on the dock.